Like any business, reviews and positive feedback are key to their survival. It is always in their best interest to provide a great service and experience to their customers. 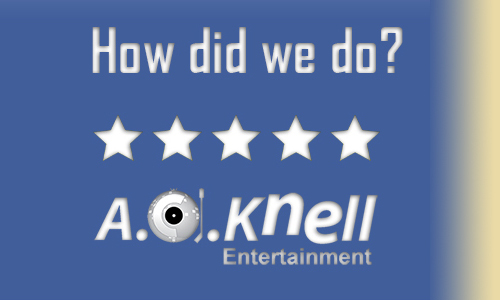 At A.C.Knell Entertainment we strive to treat each gig we perform at as the best ever to ensure the crowd have an enjoyable and fun experience. 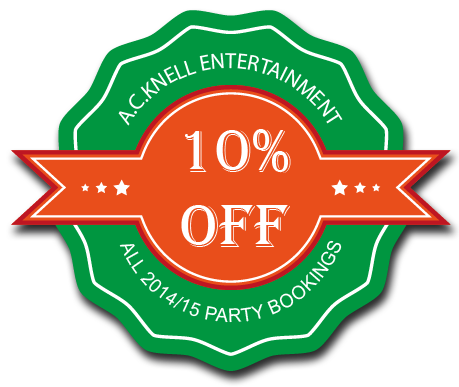 Whether we are performing at a wedding, providing PA hire, Karaoke or music for a Birthday party or kids party we make sure it is an event you’ll remember. We take great pride in our Reviews and if we have hosted an event for you recently, we want to hear about how we performed for you.